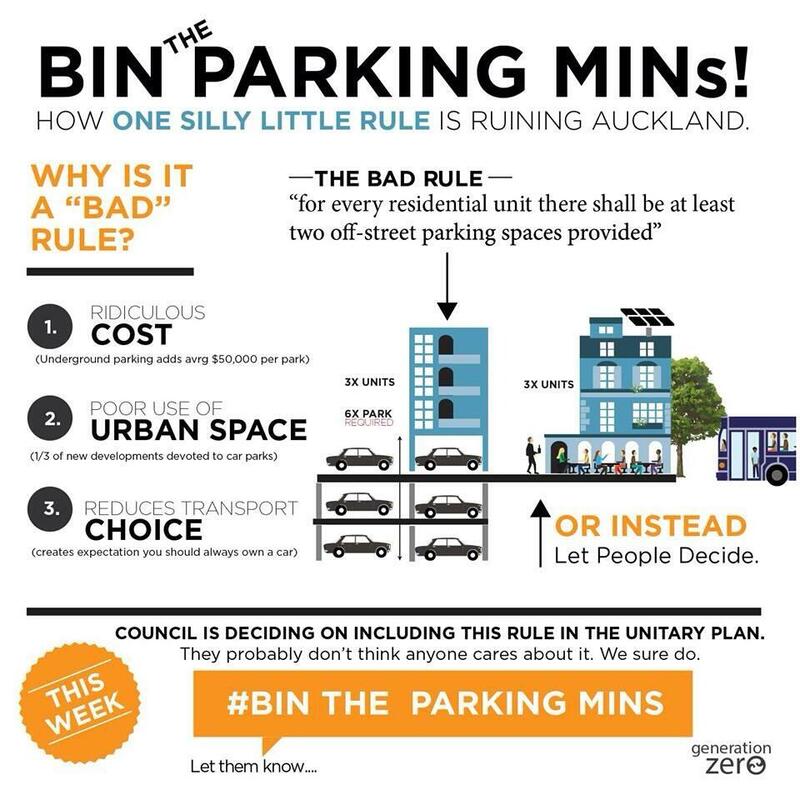 After a day debating urban zoning in the Unitary Plan, the Auckland Plan Committee will vote tomorrow on the minimum parking requirements in the Mixed Housing and THAB zoning. 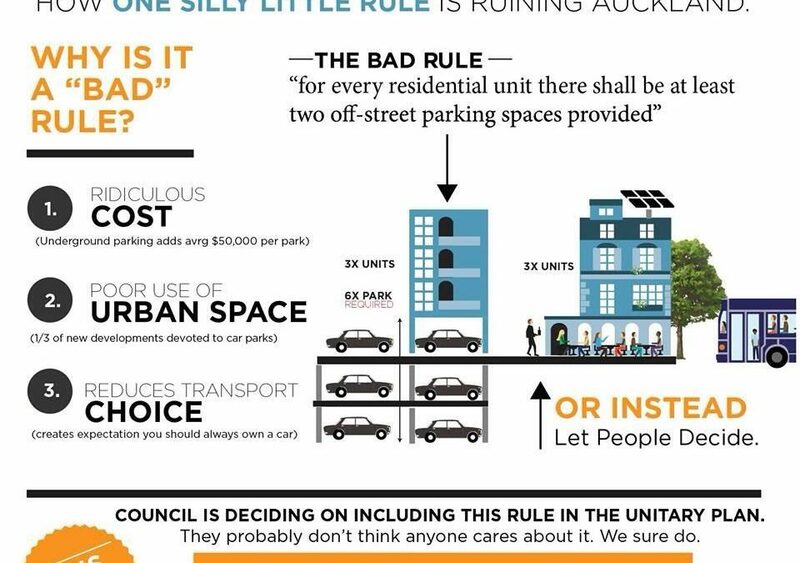 Cr Brewer has foreshadowed that he intends to move an amendment to increase MPRs in the Mixed Housing Zone, requiring 2 bedroom houses to have a minimum of 2 parking spaces. He is also seeking all apartments to have a minimum of one parking space. There has been a great deal written as to why MPRs are totally dumb but this diagram from Gen Zero sums it up perfectly.